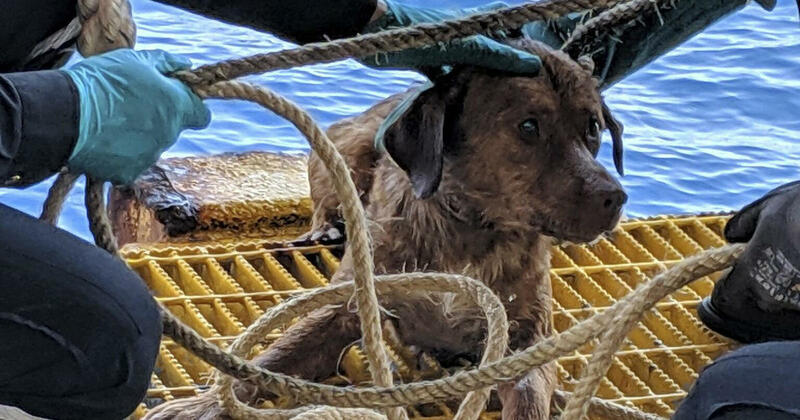 Bangkok – A dog found swimming more than 135 miles from the shore by workers on an oil rig crew in the Gulf of Thailand has been safely returned to land. A worker on the rig belonging to Chevron Thailand Exploration and Production, Vitisak Payalaw, said on his Facebook page that they saw the dog swimming towards the platform last Friday. He said they were lucky to spot it because if there were waves it would probably not have been visible. Payalaw posted a video to his Facebook account showing the rescued dog. "His eyes were so sad He just kept looking up just like he wanted to say," Please help me, "" Payalaw told CNN. " The dog was delivered by boat to the southern port of Songkhla on Monday and was declared in good shape after being taken to the Watchdog Watchdog Thailand. Payalaw said if the dog was unclaimed, he would like to take it to his home in northeast Thailand.